Inspired by the food, drinks, culture and rich history of New Orleans, Louisiana (or NOLA for short). Serving quality interpretations of classic New Orleans food and libations and working alongside New Orleans bartenders, we strive to bring an exciting and unique experience to London that feels right at home in the Crescent City. Our Cajun and Creole kitchen is inspired by the finest restaurants in New Orleans. Our chefs have prepared a menu that pays homage to the city’s storied past while bringing their understanding and training in classical French cuisine to the forefront. The interior takes its inspiration from the historic architecture the Crescent City is famous for. With a unique blend of exposed brickwork, original Georgian fireplaces, vintage panelled walls, Tiffany lamps, Blues and Jazz soundtrack, and comfortable down-home sophistication NOLA | Roman Road transports guests away from the bustling Bourbon Street vibe of New Orleans into the grandeur, hidden deep inside the Vieux Carré for a night you'll never forget. We are proud to be established as the only bar or restaurant outside of North America that has been awarded the 'Seal of The Sazerac' by the founders of the week-long New Orleans festival, Tales Of The Cocktail. "NOLA | Roman Road is Our love letter to the most exciting and vibrant city on earth." Refreshing, tall cocktail that predates the highball. We make our version with Maker’s Mark bourbon, homemade red Hembarig, and top it with a dash of sugar syrup and soda water. A fabulous combination of Woodford rye whiskey and vermouth with sweet herbal notes from Bénédictine D.O.M. and a touch of absinthe for complexity. Floral, herbaceous notes and heat from La Fee Absinthe combined with the cooling effect from the crushed ice, mint and sugar syrup make this simplest of cocktails a must-try amongst anise lovers. Our version of this New Orleans classic is wonderfully balanced and bursting with flavour. Hennessey Fine de Cognac, orange curacao, maraschino liqueur, fresh lemon and aromatic bitters presented in a sugar rimmed glass. Bombay Sapphire Gin shaken hard (very hard!) with lemon, sugar, orange flower water, cream & egg white. A frothy, rich and decadent New Orleans classic. We stir Woodford Rye whiskey, Courvoisier Exclusif and Martini vermouth in equal measure to create a spicy and warm base, enriched with the inclusion of Bénédictine D.O.M. and cocktail bitters. Don’t roll your eyes at us, we’ve resuscitated and rescued this cocktail from its disco-era renaissance and brought it back to its former glory. Our recipe is a delicate balance of creams, white cacao and crème de menthe. Truly a guilty pleasure! The official cocktail of New Orleans. Our 50/50 recipe sees Woodford rye whisky and Courvoisier Exclusif cognac stirred down with sugar and bitters, served in an absinthe rinsed glass. An elegant cocktail. Your choice of Courvoisier Exclusif cognac or Star of Bombay gin, lemon and sugar, topped with Möet & Chandon champagne. We're faithful to the original 1940's Pat O'Brien's recipe. Santa Teresa Claro and Gran Reserva rums mixed with lime, passion fruit and a touch of Wray & Nephew over-proof rum, served over crushed ice. 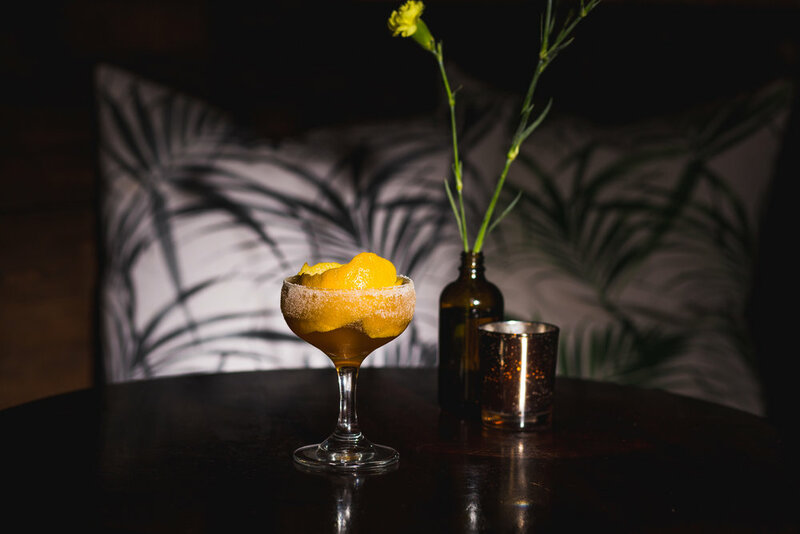 We served this drink over on Rivington Street and couldn’t leave it off the new menu (it’s that good). Refreshing low ABV drink with floral character. Dry vermouth, Star of Bombay gin, lemon, sugar, rose water and a mix of chamomile, celery and cardamom bitters. Created by Nick Detrich, Co-owner, Jewel Of The South, New Orleans. Chris created this drink for us on a visit to London a few years back. He’s in the process of opening a Cuban bar just off Decatur St. in the French Quarter and knows a thing or two about rum. Fruity twist on a Daiquiri. Banks rum combined with homemade strawberry-agave syrup, lime and a hint of absinthe to add a herbaceous and floral kick. Created by Chris Hannah, Head Bartender, French 75 at Arnaud’s. In the same family as the Manhattan, this drink combines El Dorado 12yo rum and sweet vermouth with a float of V.E.P. Yellow Chartreuse. Sweet, warm dark rum with honey and saffron notes on the finish. Created by Katie Darling, Beverage Director, Ace Hotel, New Orleans. 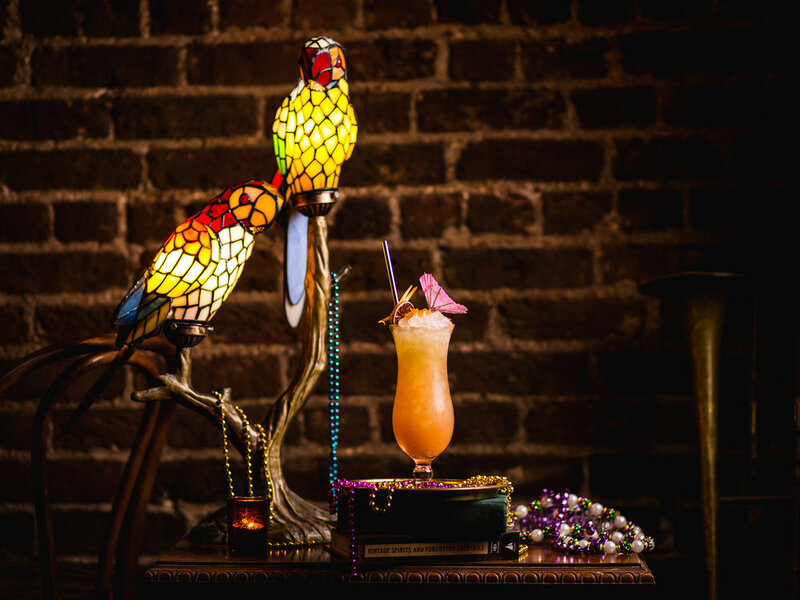 Jeff “Beachbum” Berry is a drinks writer and the owner of New Orleans coolest Tiki Bar. This cocktail is currently on the menu if you get a chance to visit. Pineapple-y version a of Bermuda Yacht Club, substituting the orange flavour profile for the tropical flavours of the Plantation pineapple rum, then improved with the addition of Velvet Falernum for the spices and lime to balance. Created by Jeff “Beachbum” Berry, Owner, Latitude 29, New Orleans. Crisp & lively on the palate. Aromas of almond blossom & green apples are balanced by a fresh citrus finish. Ripe yellow plums & greengages deliver an attractively weighted palate. Fresh lime zest provides the acidity to compliment & finish. Elegant pear & white flowers on the nose. This vintage is bursting with citrus that carries a long refreshing finish. Perfumed aroma of ripe plum & berry fruits. Subtle tannins & cherry provide a pleasant fruit driven finish. A rich body of crushed berries & black cherry. Light florals & spices round out an elegant finish. Intense bouquet of ripe red berries & vanilla. Freshness, tannins & slight mineral undertones combine to delivery silky texture on the palate. Bright & clear with subtle hints of strawberry on the nose. The palate follows with juicy red fruit character. generous selection of bacon, boudin & wings, ideal for 4-6 people to share. We offer seated table service. Reservations can be booked up to 90 days in advance. Groups of 8+ please budget £40pp minimum spend for each two-hour timeslot. Our Live Music Program will resume in Early 2019. Walk-ins are welcome. No Hens, No Stags. 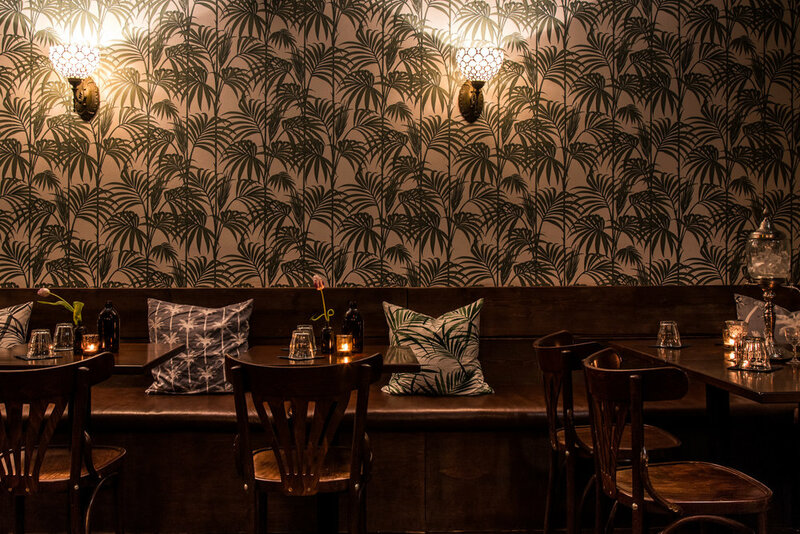 Please note, our bar area has an over 21s policy.